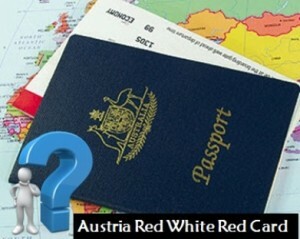 Home » Austria » Who are Eligible to Apply for an Austria Red White Red Card ? Austria would surely be a dream destination for people intending to settle overseas. Austria red white red card (Austria RWR) has been initiated to simplify immigration path for qualified workers and the family members of third countries to permanently settle in Austria depending on the criteria related to personal and labor market. Austria RWR visa is issued for duration of 12 months and allows the visa holders to get employed under a certain employer and for fixed-term settlement. Austria red white red card can be issued for individuals of the following category. Highly qualified workers can migrate to Austria initially under a visa valid for duration of six months for the purpose of job search on condition that they acquire at least 70 points based on the factors such as age, education, language, and study in Austria. Eventually, they can apply for an Austria RWR visa at Austrian competent residence authority on condition that they are able to submit an employment offer during the valid duration the visa. Citizens of third country can file applications for Austria RWR visa if their self employed occupation will be beneficial to nation economically. There is no points based system for self employed key workers. Third country students require obtaining an employment permit, which can be granted without labor market test if the students are employed for less than 10 or 20 hours per week. Meet at least 50 points based on the points test. If you are eligible, please fill out MoreVisas Enquiry Form, and also follow us at Facebook, LinkedIn, Google+.